Robotics and automation require the highest standards in bearings. 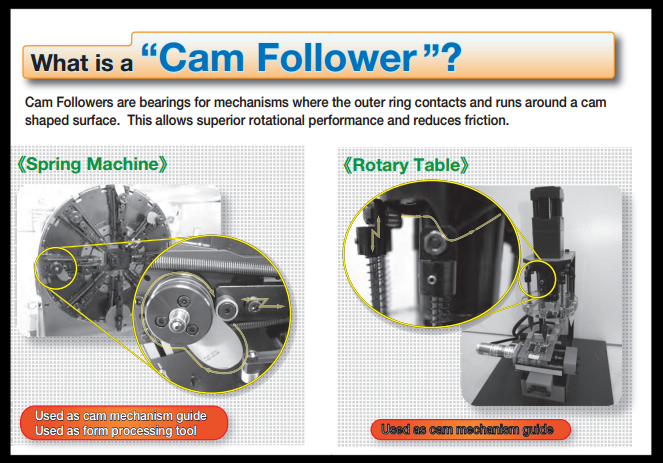 All movements have to be supported with extremely high precision and reliability in every axis. This provides smooth running, high load capacity, rigidity and long life. Special Solutions: Thin cross section, high capacity, ball bearings available in radial, angular or four point contact styles. Off the shelf linear guidance for unique applications. Plain bearings (bushings) for small radial or axial design envelopes. These are maintenance free and are available in metal backed style with a liner or thermoplastic with a composition to suit various needs: food grade, high load, dirty environment,etc.